John Alexander "Andy" Messersmith (born August 6, 1945 in Toms River, New Jersey) is a former Major League Baseball right-handed pitcher. During a 12-year baseball career, he pitched for the California Angels (1968–72), Los Angeles Dodgers (1973–75 and 1979), Atlanta Braves (1976–77) and the New York Yankees (1978). As a member of the Dodgers, he appeared in the 1974 World Series. Messersmith was born in New Jersey but at the age of 5 his family moved to Orange County, California. After graduating from Western High School in Anaheim, Messersmith received a baseball scholarship from the University of California, Berkeley. Following his junior year of college, the California Angels drafted Messersmith with the 12th overall pick in the June 1966 amateur draft. He pitched five seasons with the Angels, highlighted by his 20-13 record in 1971, even though the Angels finished 25.5 games behind the Western Division champion Oakland A's. After finishing with a record of 8-11 in 1972, attributed primarily to a finger injury that required surgery, the Angels traded Messersmith and infielder Ken McMullen to the Los Angeles Dodgers for five players - Frank Robinson, Bill Singer, Billy Grabarkewitz, Bobby Valentine, and Mike Strahler. Messersmith joined a strong Dodger rotation in 1973, finishing the season with a 14-10 record. He shined in 1974, finishing with 20 wins and 6 losses and a 2.59 ERA. He was the starting pitcher in the 1974 Major League Baseball All-Star Game and was one of the main factors in the Dodgers' return to the World Series for the first time since 1966, and finished second in balloting for the Cy Young Award, which was won by his Dodger teammate Mike Marshall. He also pitched 1975 without a contract, leading the National League in complete games and shutouts, finishing second in earned run average with 2.29, and winning a Gold Glove (his second) as the league's best-fielding pitcher. Messersmith and Dave McNally were the only two players in 1975 playing on the one year reserve clause in effect at the time. McNally's season ended early due to injuries and he returned home, intending to retire, but agreeing to players' union director Marvin Miller's request that he sign onto the Messersmith grievance in case Messersmith ended up signing a new deal with the Dodgers before the season ended. 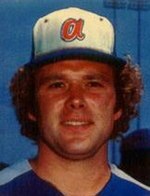 Messersmith struggled trying to live up to his new contract and was sold to the New York Yankees after the 1977 season, having gone 16-15 in two seasons with the Braves, the second marred by injuries. The Yankees released him after an injury plagued 1978 season and he signed with the Dodgers, who gave him the very thing their first refusal drove him toward testing and defeating the old reserve system: a no-trade clause. But the injuries and stress had taken too much toll; Messersmith pitched in only 11 games for the Dodgers in 1979, going 2-4 with a 4.90 ERA, and retired after the Dodgers released him. He currently[when?] coaches baseball at Cabrillo College. Messersmith's earned run average of 2.861 is the sixth lowest among starting pitchers whose careers began after the advent of the live-ball era in 1920, behind only Clayton Kershaw (2.36), Hoyt Wilhelm (2.52), Whitey Ford (2.75), Sandy Koufax (2.76), and Jim Palmer (2.856). This page was last edited on 17 March 2019, at 01:27 (UTC).